The event gives amateur athletes the opportunity to compete in world-class Olympic venues in more than 30 events. The Games will kick off with an inaugural Torch Relay departing from New York City. The 2018 Empire State Winter Games includes an expanded outdoor village located on Lake Placid’s Main Street. 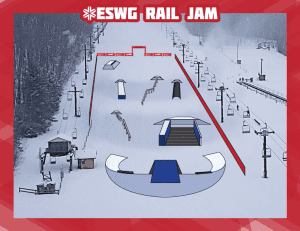 The Village will host the ESWG cauldron, a Jumbotron with livestreaming, ESWG television event coverage, live music, spectator speed tubing, and the 2018 ESWG winter bike and NorX competitions. One of 2018’s new events, the inaugural Rail Jam competition, will take place at Malone’s Titus Mountain. The Village will also feature samples of soups and chili prepared by local chefs for Taste of the Games. 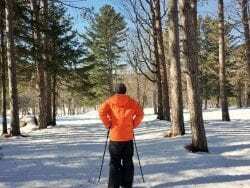 Outdoor sporting events will be held at the Saranac Lake Civic Center, and Nordic and alpine skiing will be held at Dewey Mountain and Mount Pisgah in Saranac Lake. 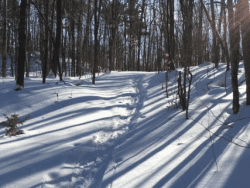 Additionally, Paul Smith’s College’s Visitors Interpretive Center will host snowshoe racing events. For more information about the 38th Empire State Winter Games, click here. Photo: Empire State Winter Games Rail Jam setup, courtesy Empire State Winter Games.